This week on War News Radio, we’re taking a look at the conflict in Yemen as it stands today, a topic that has fallen out of the focus of mainstream media sources. In 2015, we reported at length about the escalating tensions and later violence between the Houthis, a Shi’ite rebel group, and the Yemeni president, Abdu Rabbu Mansour Hadi. As the Houthis, backed by former president Ali Abdullah Saleh began to take over large parts of Yemen, a multi-nation coalition led by Saudi Arabia began airstrikes in support of Mansour Hadi. Al Qaeda in the Arabian Peninsula, a jihadist group with a strong presence in Yemen, also added to the conflict. Houthi takeover of large portions of the country forced President Mansour Hadi’s government into exile but returned in September of last year after retaking several key areas. The violence displaced many Yemeni citizens from their homes and resulted in over 8,119 casualties in 2015, according to the United Nations. Today, the conflict continues much the same as it did last year. The Saudi-backed coalition began an aggressive airstrike campaign in March of last year, and despite peace talks that began at the end of 2015, the campaign has continued. The United Nations denounced the airstrike campaign, and the United States has been criticised for providing bombs and other weaponry to the coalition. On February 14, human rights organizations reported the use of U.S. made cluster munitions, a type of bomb that is banned by international treaty. The European Parliament passed a non-legally binding motion to place an arms embargo on Saudi Arabia on February 26 in response to a petition signed by citizens across Europe. Despite the Saudi airstrike campaign, much of the fighting takes place on the ground as well. The city of Taiz has made headlines as the center of a siege by the Houthi rebels. The fighting in and around the city has made humanitarian aid access difficult and many citizens are suffering famine-like conditions. Furthermore, the Islamic State recently claimed responsibility for a suicide bombing near the presidential palace in the port city of Aden. 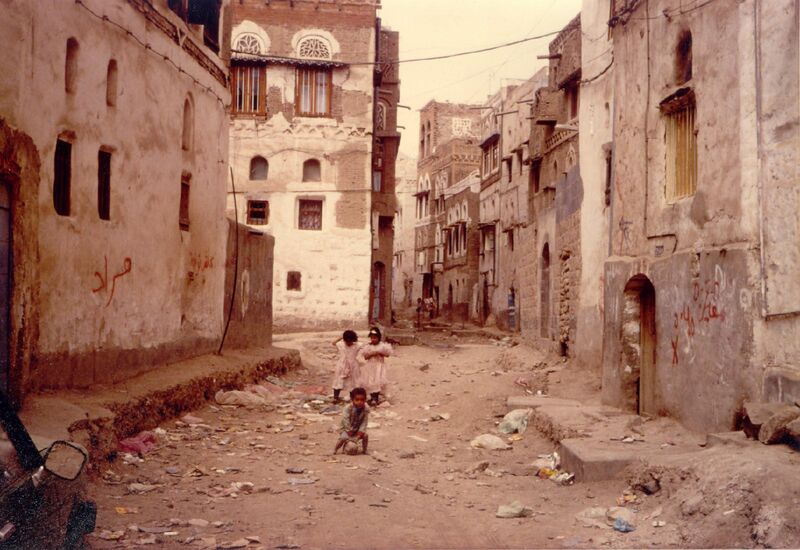 Amid updates about the heavy violence are reports and stories from Yemeni citizens and humanitarian aid workers. Individuals displaced by the conflict are often victims of bombs released by Saudi Arabian forces, and doctors are overtaxed by the amount of people seeking treatment. However, humanitarian aid groups continue to send resources and volunteers to alleviate the crisis’s impact on Yemeni citizens.